One of the more frequent issues that arises in the context of security clearance investigations is the issues of alcohol abuse or over-consumption by federal employees and government contractors. This is regulated by Adjudicative Guideline G for those holding or seeking a security clearance. This article discusses the issues that many individuals face with respect to alcohol and their security clearance. Alcohol over-consumption and abuse can be a major factor in maintaining or obtain a security clearance. Security concerns regarding this issue arise under Adjudicative Guideline G, Alcohol Consumption of Security Executive Agency Directive (SEAD) 4 and Intelligence Community Policy Guidance (ICPG) 704.2. Adjudicative Guideline G is the section of the Guidelines which involve a clearance holder or applicant’s use of alcohol and it’s impact on an individual’s ability to obtain or maintain a security clearance. Guideline G issues usually come into play when a federal employee or contractor have issues regarding the use of alcohol. The most obvious issue that begins this type of review is a recent alcohol-related traffic concern such as a DUI or other intoxication charge. If recent, these charges tend to require more investigation prior to the issuance of a security clearance or may require a clearance review. The clear concern for federal agencies that evaluate security clearances is that excessive alcohol consumption can lead to the use of questionable judgment or the failure to control impulses, both of which are not considered acceptable for purposes of access to classified information. The Concern. Excessive alcohol consumption often leads to the exercise of questionable judgment or the failure to control impulses, and can raise questions about an individual’s reliability and trustworthiness. (d) the individual has successfully completed a treatment program along with any required aftercare, and has demonstrated a clear and established pattern of modified consumption or abstinence in accordance with treatment recommendations. While many of the same principles have applied to alcohol usage cases under Guideline G in the past adjudicative guidelines, SEAD 4 recently changed some of the concerns and factors slightly as of June 8, 2017, so it is important to be familiar with them. The following are 3 examples where individuals clearances were denied and 3 examples where the individual’s clearance was granted under Guideline G.
Example A: Security clearance applicant was convicted 3 times of Driving under the Influence of Alcohol (DUI) between a period of 8 years. The last alcohol-related DUI was 2 years prior to the Statement of Reasons being issued with response to Guideline G. He had recently began to abstain from consuming alcohol, but not enough time has passed to conclude alcohol is no longer a problem. Applicant’s security clearance was denied. For the entire case, please click here. Example B: Security clearance applicant had a long history of alcohol abuse from 1991 to 2012 and was diagnosed with alcohol dependence. The applicant had participated several times in both inpatient and outpatient treatment programs, but had relapsed. He was alcohol free for 14 months prior to the hearing. The Administrative Judge found that his current period of sobriety was not sufficient to mitigate the security concerns under Guideline G, alcohol consumption. Applicant’s security clearance was denied. For the entire case, please click here. 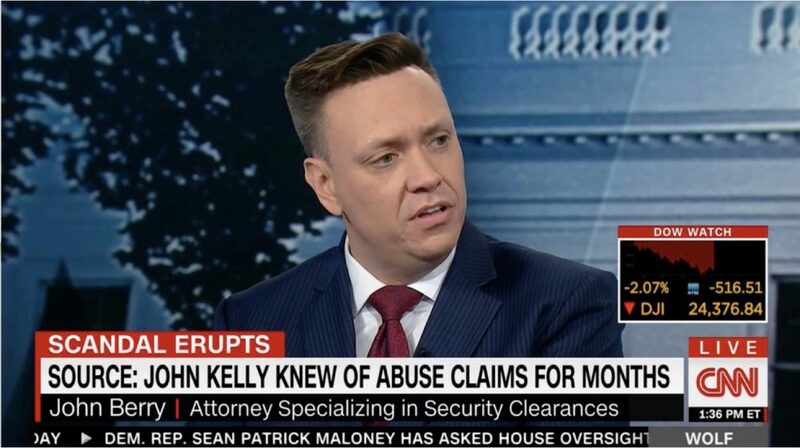 Example C: While security clearance applicant had no alcohol-related incidents since 2014 (and the hearing was held in May of 2016) and had remained sober for more than a year still resulted in a denial of the security clearance by the Administrative Judge. On appeal, the DOHA Appeal Board found that the recency factor alone does not compel an Administrative Judge to make a favorable clearance decision. The Appeal Board held that it has never established a “bright line” rule as to the recency of conduct raising security concerns. The extent to which security concerns have become mitigated through the passage of time or recency is instead a question that must be resolved based on the evidence as a whole. As a result of these findings, the Applicant’s security clearance was denied. For the entire case, please click here. Example A: Security clearance applicant was 34 years old and had a history of alcohol-related incidents before being diagnosed with alcohol dependence in 2006. Following alcohol treatment in 2006, he abstained from alcohol consumption for 5 years before resuming infrequent use. The applicant was found to have recommitted himself to total abstinence, was found to attend Alcoholics Anonymous, and had a sponsor to help him work on alcohol issues. Applicant was found to have mitigated the security concerns under Guideline G, alcohol consumption and his security clearance was granted. For the entire case, please click here. Example B: Security clearance applicant was 54 years old and had 3 alcohol-related incidents from 1984 to 2000. Following that time period, he had abstained from alcohol use from 2001 to 2009, a period of about 8 years. Subsequently, he had resumed responsible alcohol use without any problems, consisting of 1-2 beers after work, but not daily. Further, there was no evidence of any alcohol-related incident for the past 15 years. The Administrative Judge found that the individual had provided sufficient evidence to mitigate the security concerns under Guideline G and granted the security clearance. For the entire case, please click here. Example C: Security clearance applicant was 45 years old and had issues with alcohol dependence over his life. Applicant was found to have taken seriously the fact that he was an alcoholic and had to completely abstain from alcohol. The individual also presented evidence that he regularly attended Alcoholics Anonymous and also that he had a strong support network. The Administrative Judge found that the applicant was earnest in his efforts at recovery and had mitigated the security concerns under Guideline G, alcohol consumption and granted the individual’s security clearance. For the entire case, please click here. In security clearance cases involving Guideline G, Alcohol Consumption, it is very important to understand just how important it is to demonstrate that the individual understands and acknowledges (where appropriate) their alcohol issues and concerns. Denying a known alcohol problem only makes mitigation more problematic. It cannot be overstated that security clearance adjudicators take alcohol concerns seriously. Absent significant evidence of rehabilitation or other efforts, it can be hard to keep or obtain a security clearance. How long ago was the last problem with alcohol use? How many incidents of alcohol abuse or alcohol-related traffic incidents are there? Has there been medical intervention? Has there been any alcohol treatment given or taken? Was such treatment voluntary or mandatory (i.e. part of a court resolution). Is it important to get an independent review by a physician regarding the likelihood of recurrence of alcohol issues? An expert physician may be needed. Has their been abstinence from alcohol (and for how long)? Has their been a change in alcohol usage? Who could potentially testify positively about the applicant’s alcohol usage and changed behavior? What kind of documentation can be used for exhibits to show abstinence from alcohol? What kind of documentation can be used to show a change in behavior and more limited alcohol usage? What types of organizations (Alcoholics Anonymous, Church, Treatment Programs, Physicians, other groups) can be used to support the applicant’s case? What types of evidence can be used to show how serious the applicant takes the alcohol use issues? i.e. letters of support, character letters, etc. Is a letter of proposed revocation of a security clearance appropriate to add as an exhibit should the alcohol issues recur. Is there medical or treatment documentation available to potentially use as exhibits during the clearance proceedings? Alcohol consumption security clearance cases under Guideline G can involve many differing types of variables and a number of mitigating factors specific to each case so hiring experienced counsel to represent and advise the individual involved is critical because each case is different. The key for such security clearance proceedings in this type of case is to be prepared. In sum, when facing alcohol-related or other security clearance issues, it is very important to have experienced counsel. If you need assistance with a security clearance case, please call us at (703) 668-0070 or contact us at www.berrylegal.com, our Facebook page or through this page. This entry was posted in Alcohol Consumption, Clearance Appeals, General Security Clearance, Uncategorized and tagged Adjudicative Guidelines, Alcohol Consumption, Guideline G, Security clearance, Security clearance appeal, security clearance attorney, security clearance attorneys, security clearance lawyer, security clearance lawyers, tips, Tips for Alcohol Consumption clearance cases by berrylegal. Bookmark the permalink.